Dr Frances Kearney is a Cataract Surgeon, Retina Expert and Comprehensive Ophthalmologist who trained in Queensland, Melbourne, London and Edinburgh. She is known for delivering the highest standard of clinical care with her professional and caring approach. Dr Frances Kearney is a Fellow of the Royal Australian and New Zealand College of Ophthalmology and is an International Member of the American Academy of Ophthalmologists. She attended the University of Queensland, achieving First Class Honours in her Bachelor of Science (Honours) degree and a Distinction in her Bachelor of Medicine Bachelor of Surgery degree. 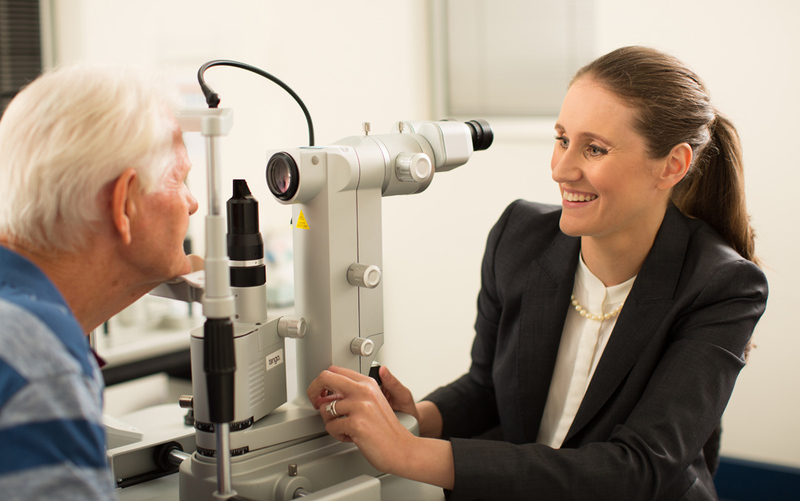 Dr Frances Kearney completed her sub-specialty training in the area of Medical Retina at the Royal Victorian Eye and Ear Hospital, Melbourne where she managed patients with medical retina conditions including age related macular degeneration, diabetic retinopathy and vein occlusions and performed intra-vitreal injections and laser treatment. She also conducted research at the Centre for Eye Research Australia. A highlight was her involvement in the stem cell macular degeneration trial, where she performed the trial’s first stem cell treatment in Australia, and second in the world. She also researched new ways of detecting signs of macular degeneration with advanced imaging of reticular pseudodrusen, and published an invited review on the effect sugar has on the eye. Following her fellowship, she was approached by Monash Health, Victoria’s largest service provider to operate on patients on their cataract waiting list. Consequently, she performed numerous cataract surgeries. She has authored peer reviewed papers in highly respected medical journals including Ophthalmology, Clinical and Experimental Ophthalmology and the Medical Journal of Australia. Dr Frances Kearney now practises on the Gold Coast. She enjoys operating using the latest technology. In clinic, she incorporates sophisticated testing and imaging including high resolution OCT retina scans to best facilitate early detection of disease and monitor response to treatment. She empowers her patients by helping them understand their eye condition and how it can be best treated.